Well, that was fast. Less than a year after the first film debuted in theaters we have trailers for a new Bad Moms movie and this time they're not just tackling everything moms have to take care of and look after in general, but they're specifically tackling the holiday season which, honestly, is totally fair game. Though I wasn't a fan of writer/directors Jon Lucas and Scott Moore's first film, you can read my review here, they have returned to write and direct this sequel as well. It would seem Lucas and Moore have a very limited range of topics they're interested in tackling as they wrote the original Hangover screenplay and then went on to pen and direct 2013's 21 & Over which was fine, but totally forgettable and that seems to be where this presumably never-ending line of Bad Moms movies will end-up. The casting of Mila Kunis, Kristen Bell, and (most importantly) Kathryn Hahn was one of the key highlights of that first film so having those three back and more in sync with one another's personalities this time around should bode well for the picture as does the fact Lucas and Moore have written in roles for their mothers who will be played by Christine Baranski, Cheryl Hines, and Susan Sarandon. Boy, between A Bad Moms Christmas and Daddy's Home 2 this holiday season will have no lack of Christmas-themed family comedies or work for aging movie stars. And while I'm in no way excited for what A Bad Moms Christmas likely has to offer it could have found its groove and this time around provide enough charm that it could win me over, but even with a red band trailer to show us all the bawdy jokes this thing has to offer I'm still not sold as the only time I laughed throughout either of these trailers was when Baranski showed up to deliver her deadpan lines. Presuming the majority of the comedy will come from the dynamic between our three leads dealing with the holiday visits of their mothers and extended families it would be nice if the majority of the laughs derive from these situations rather than only counting on otherwise innocent moms cussing and doing things that are supposed to be outrageous while that latest DJ hit drops in the background. All of that said, I am sad Christina Applegate's character doesn't seem to be back for the sequel. Oh, well. 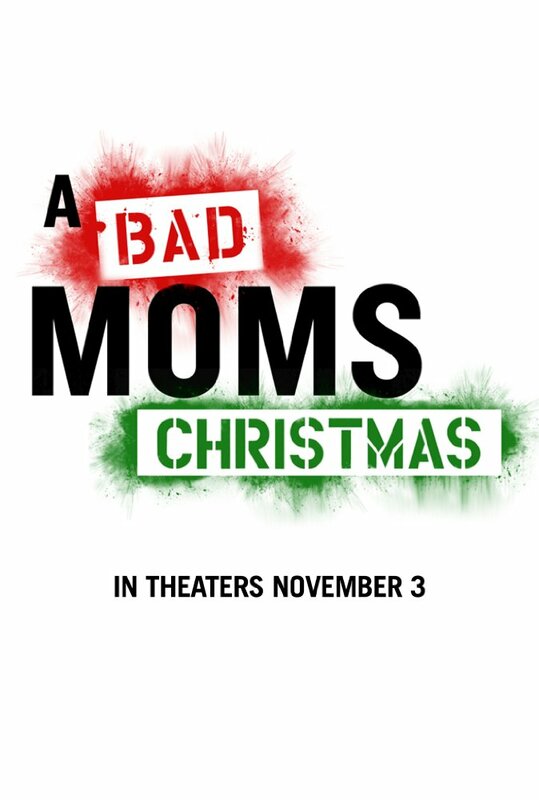 A Bad Moms Christmas also stars Jay Hernandez, Peter Gallagher, David Walton, Wanda Sykes, Emjay Anthony, Oona Laurence, Ariana Greenblatt, and opens on November 3rd, 2017. Synopsis: A BAD MOMS CHRISTMAS follows our three under-appreciated and over-burdened women as they rebel against the challenges and expectations of the Super Bowl for moms: Christmas. And if creating a more perfect holiday for their families wasn’t hard enough, they have to do all of that while hosting and entertaining their own mothers. By the end of the journey, our moms will redefine how to make the holidays special for all and discover a closer relationship with their mothers.